The SF Parks Alliance sees itself as a strong, independent partner with the City to engage in on-going planning and policy development related to public lands and to bring best practices and solutions into the public dialogue on parkland. We work to reduce barriers to public information and community participation, connecting agency staff to the real day-to-day needs of parks and park users. Through our park policy work, SFPA combines qualitative community-based research to the quantitative City agency data, to aid city officials and San Francisco voters in making informed decisions about our parks and green open spaces. Our team has fostered effective relationships with elected officials, agency staff and prides ourselves on our strong ties to all of San Francisco’s many diverse communities. We are committed to providing all San Franciscans the information and resources they need to make well-informed decisions on the future of our open space system. SFPA collects park and open space data, researches best practices, and monitors park policymaking in order to ensure the community's voice is always present when setting park policies and priorities. Our approach to developing public policy positions is nimble, data-driven, collaborative and consistent. The Council is a representative body of park leaders, community members, and citizens from every San Francisco district who care about their parks. The Council debates important park issues that will impact our City and makes position recommendations to SFPA's staff and Board. A tradition begun by the Neighborhood Parks Council continues. 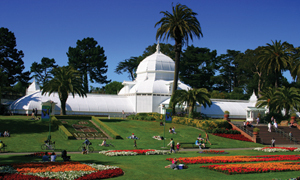 Each spring, SFPA schedules a town hall meeting with park advocates and the Mayor, facilitating a discussion about park issues and giving park users an opportunity to hear from the City's top policymaker on the issues they care about. In election years, SFPA also facilitates forums for Supervisor candidates, allowing park users and advocates and opportunity to understand candidates' positions on top park issues.